Jquery – Share SharePoint Points ! This blog is targeted to developers who are novice to the client side object model in SharePoint. SharePoint apps by default provides a basic stub for getting user details inside app. But sometimes it is required to add client side code in simple script file to get user information. 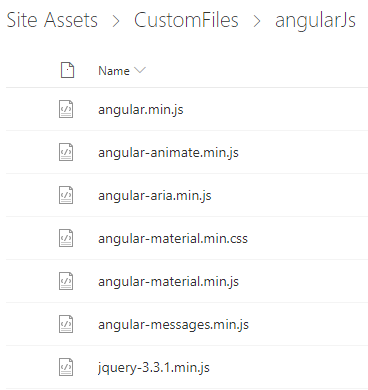 I hope this information will also be helpful starters of client side object model. 2) A web application and a root site collection inside it. It does not matter whether site is team site or any other type of site. (Note: In case of publishing site you need to enable sp.js file loading). – List or Style library: It will be hard to update script file if it is placed under style library. Every time one have to update the file in SP Designer in order to make any changes or one have to upload the latest file each time in case of any update. – 15 hive folder: This is my favorite place in order to do such kind of research. Create a dummy folder under “15/Template/layouts/dummy”. I am referring second approach as it is very comfortable to update the files in 15 hive. Now open the dummy folder and create a JS file there with any name say, CSOMDemo.js. Let this file blank as of now. 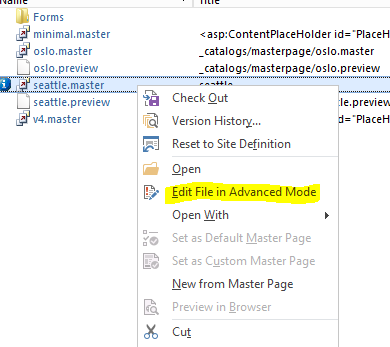 Once custom JS file is created, now next is to refer this file to master page so that it will be utilized by SharePoint. There are also many option to refer the file: Master page, Page layout(in case of publishing site), using content editor web part etc. For this blog I am referring the script file to master page. In order to do same, Open the site using SP Designer and click on All Files > _catalogs > masterpage > seattle.master(for team site). Then right click on the file and select the option “Edit File in Advanced Mode”. Names can vary according to your naming conventions. But one these lines are placed in master page, all site pages will be registered and enabled with jQuery and custom scripts. Open the custom script file and paste the following code in side it. Hope that code will be helpful for you. After spending 3-4 hours of struggle, I finally found way to get rid off irritating SharePoint Spell checker. It caught people picker too under the umbrella of spell check, but why, usually it does not required. Well again it may be the requirement. But for my case, I don’t want it to watch any of my control on whole site. I tried to navigate to Manage Farm Features > Spell Check feature. Even after deactivating this feature it still working like a stubborn functionality. Then I realized that nothing is impossible for a developer. I have JQuery with me I can hide that control. Note: “authorEdit” is the custom class added to the people picker. If you add this line of code to your master page or document.ready function of the page layout it will solve this issue. Hope this little trick might helpful.